The Fund awarded the National Museum of Wales a grant of £9,000 towards the purchase of the above print. Additional funding was provided by the Derek Williams Trust. 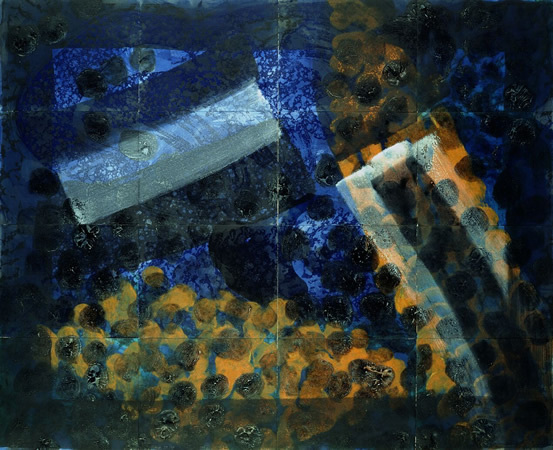 This is a large work (paper size 160cm x 195.5cm) by Howard Hodgkin (1932-2017) consisting of 16 hand-painted etching and aquatint prints. It is described by the Curator of Prints and Drawings as ‘a spectacular gallery piece’ which will complement and enhance other Venetian works in the Museum’s collection by artists such as Canaletto, Guardi, Monet, Whistler, Sickert, Brangwyn and Piper. (National Museum of Wales press release, 18 March, 2011). It seems particularly apt that the Fund should contribute to the acquisition of this work, given its subject matter and the period when it was created. Nerys herself spent several months in Venice, in the mid-nineties, painting its townscapes at different times of day, including the work, ‘Evening View’ (1996).